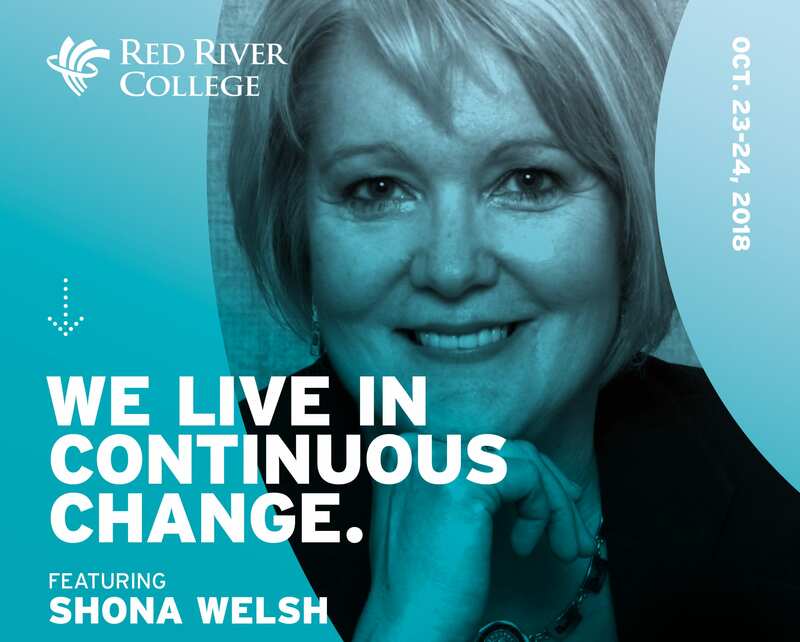 Red River College delivers job-ready graduates to employers, and Ronda Henley was as job-ready as it gets. 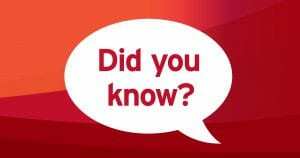 In 1987, while still enrolled in RRC’s Administrative Assistant program, Henley was offered a job with the Health Sciences Centre. “It was in the department of communication disorders, working with speech pathologists and audiologists,” says Henley, who had previously completed RRC’s Secretarial Machine Transcription course in 1986. And while Henley did complete the Administrative Assistant program, she still wasn’t finished furthering her education at RRC. 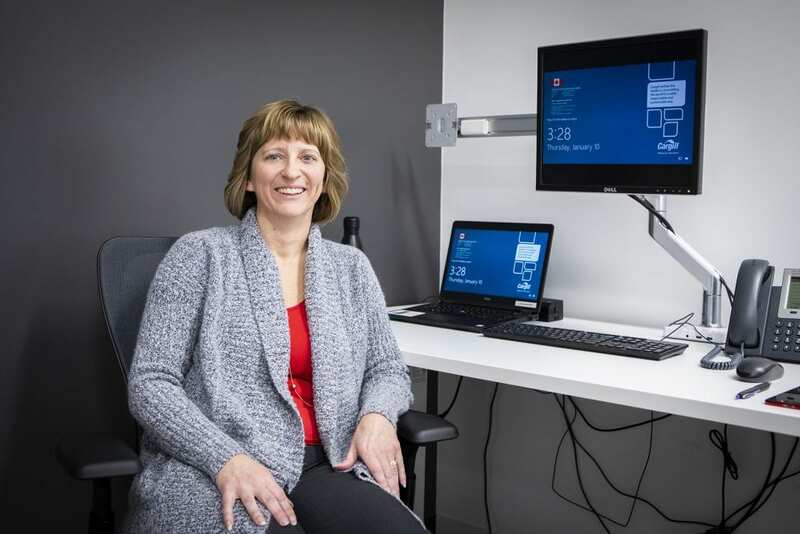 In 1997, she returned to the College to take the Human Resource Management program, having at the time been recently hired by United Grain Growers in an administrative assistant position in HR. That put Henley on her current career path: HR in the agricultural sector. She’s held HR positions at UGG, Agricore United, Viterra, and for the last 10 years, Cargill. Presently, Henley is Cargill’s employee experience/employee relations senior specialist for Manitoba. If you are completing your program graduating requirements this term and would like to be included in the Winter 2019 Convocation ceremonies, you must submit an Application to Graduate form by December 14, 2018. The Winter 2019 Convocation ceremonies will take place on Monday, February 4 and Tuesday, February 5, 2019 at the Centennial Concert Hall. When employees are given the tools to grow their skill sets and become experts in their industries, not only do they benefit — their organization benefits, as well. Conviron, a global leader in the design, manufacture and installation of controlled environment systems, was looking for a way to further train employees. 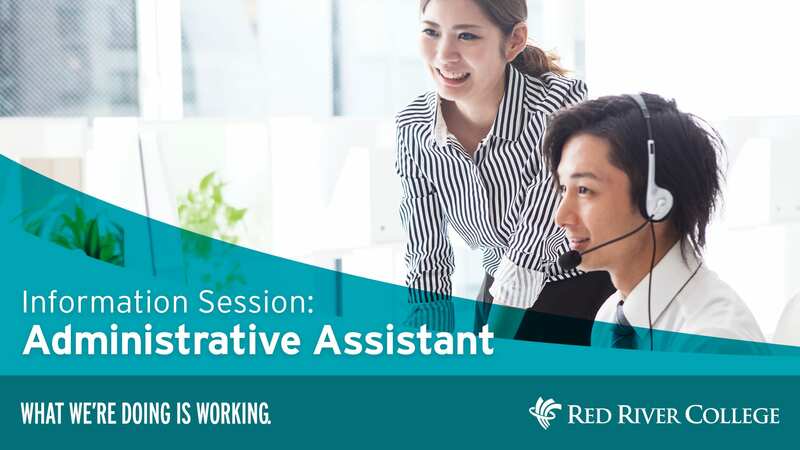 Not surprisingly, they turned to Red River College’s (RRC) Corporate Solutions department to develop a customized training program. Conviron was in need of a training curriculum for onboarding new or transfer employees into the refrigeration section of their manufacturing department. Corporate Solutions developed a comprehensive training workshop where existing employees could be trained on new programs and new employees could get up to speed on the practices within Conviron’s refrigeration department. Employees received hands-on training in areas such as tools and equipment, refrigerants and oils, leak testing, evacuation and charging. 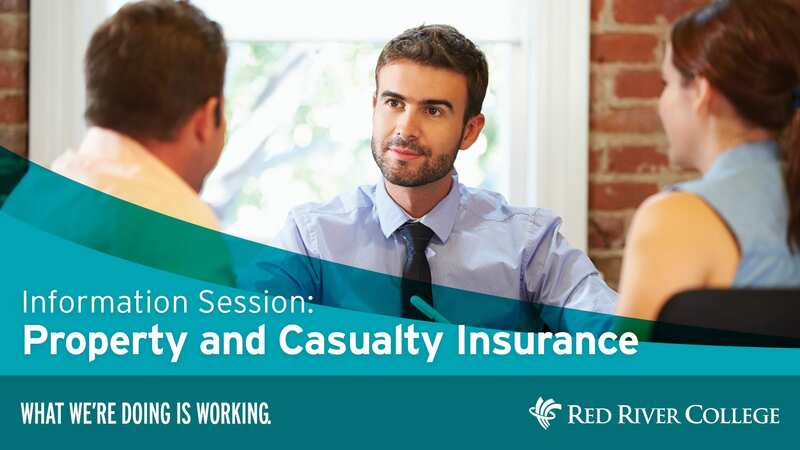 Because insurance touches every aspect of life and business, it is a vital and stable industry. As one of Canada’s largest contributors to the financial services sector, there’s a constant need for talented, creative and motivated employees. Staff Sgt. 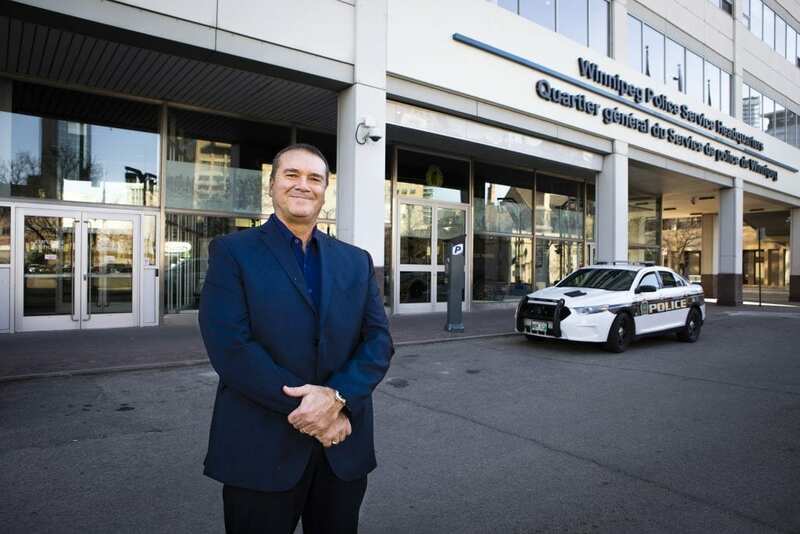 Bob Chrismas, a 30-year veteran of the Winnipeg Police Service, is the newly hired instructor of Red River College’s Justice and Public Safety program, available by part-time delivery, with select courses available online. “They (the College) reached out to me. They said they needed an instructor for a course called Policing in the 21st Century,” says Chrismas, now 56. He’s not kidding. In 2013, McGill-Queen’s University Press published Chrismas’ book Canadian Policing in the 21st Century: A Frontline Officer on Challenges and Changes. It was the runner up for best non-fiction at the 2014 Manitoba Book Awards. Learn more about Bob Chrismas here. Learning is a continuous and fascinating journey, and the pinnacle of learning is the application of that newfound knowledge, putting what we have learned into action. Learning does not stop after graduation; in fact, learning becomes even more prevalent once we enter the workforce and continuously evolves as businesses and industries change according to the demands of our local, national and global landscapes. The question that begs to be asked is: are all organizations equipped with the resources to effectively compete in these environments within a culture that breeds a strong, competent team? Red River College (RRC) understands the importance of continuous learning, whether one is a student, a working professional or a skilled tradesperson. The College also realizes the challenges that exist when resources, in any capacity, are limited and effective training may not be available. 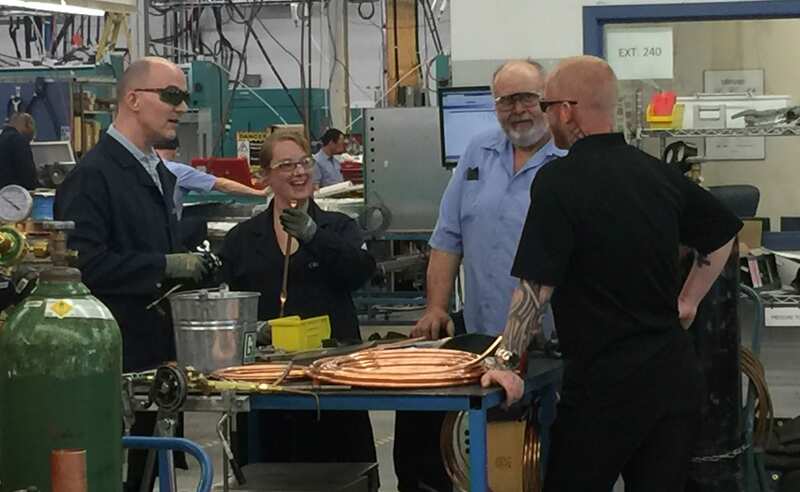 In recognizing this need in the market, solutions can be found in RRC’s highly specialized abilities to “help your organization leverage its constrained resources to develop a culture of unrestrained innovation,” says Bill Rutherford, Corporate Solutions Manager at Red River College. It’s the perfect marriage of sharing educational resources to empower individuals to enhance and improve their organizations, here in our community and beyond! The excitement that has fuelled this idea is now the strength behind the launch of the Empower Training Series. There is no set definition of the Empower Training Series and that’s the beauty of it. This series is completely customizable to enhance your team’s development by providing applied solutions to address emerging business trends. On August 29, Red River College (RRC) celebrated its second class of Peterbilt Technician Institute (PTI) students. All eight students are ready to start their careers as certified technicians with a Peterbilt service location or directly with a Peterbilt customer across Canada. This class also marks Peterbilt’s 51st class in North America. The Institute is a manufacturer-paid training initiative offered to graduates of RRC’s Heavy Duty Equipment Mechanic program, and to those interested in advancing their skills to become certified Peterbilt technicians. With the continued success of the Institute, RRC and Peterbilt anticipate continued interest and increased enrolment in the next two sessions, scheduled for June and September of 2019. 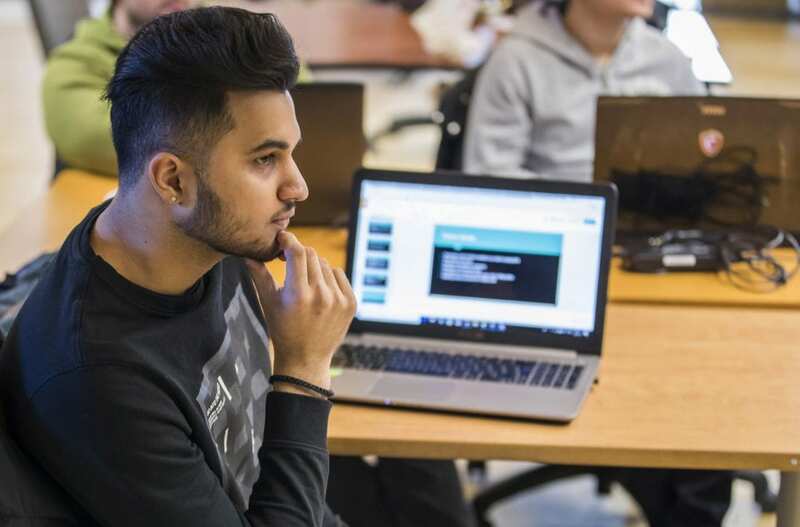 Learn more about the Institute offered at the College – the only location in Canada offering this unique training opportunity. See the classroom, lab and equipment here. Congratulations to our students and their families! Subscribe to RRC’s Part-time and Online Education news feed to get posts sent directly to your inbox.